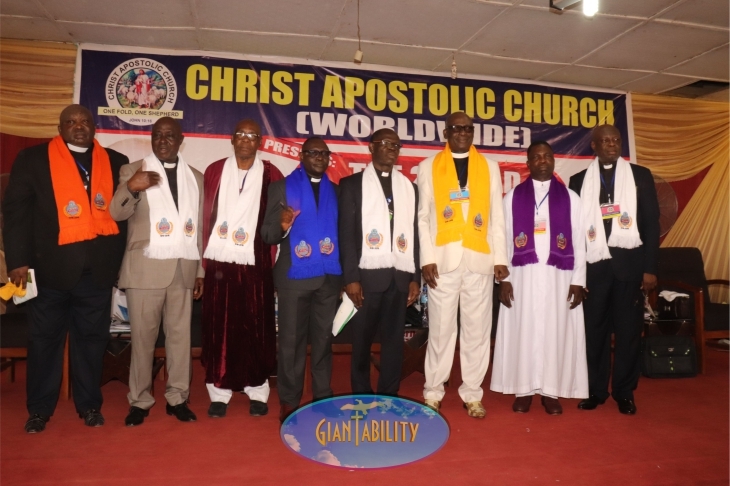 The Christ Apostolic Church (C.A.C) has officially unveiled the logo of the Centenary ceremony which will commence from October to November 2018. 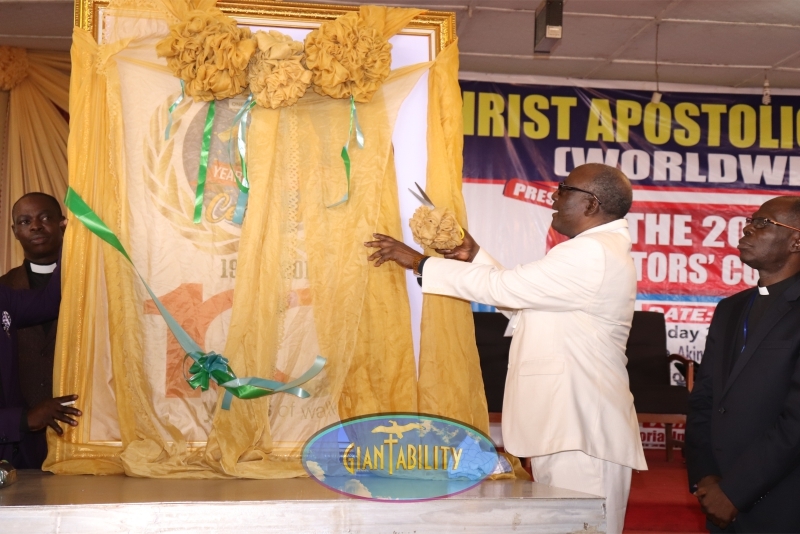 President of the church, worldwide, Pastor Abraham Akinosun during the 2018 Pastors’ Conference tagged “The Next Move of God” performed the unveiling on Wednesday at the campground, Ikeji Arakeji, Osun State. 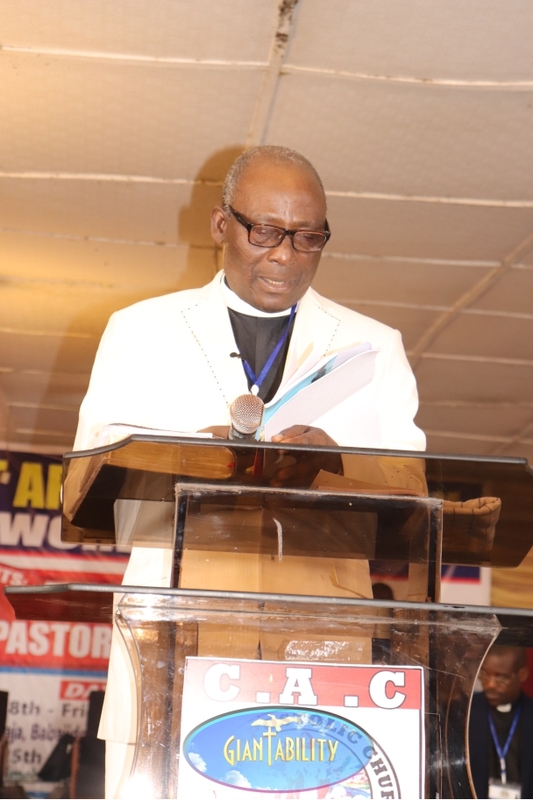 The cleric also revealed the “ecclesiastical council” of the church who has the incumbent church president, Pastor Samuel Akinsulure, as the chairman of the centenary celebration committee. On the state of the nation, as regards the herders-farmers clashes, Pastor Akinosun in a press briefing aired his views. “The government should do something to disabuse the minds of its critics who alleged that it is giving the Fulani killers a cover. “To convince people that the government knows nothing about these killings, it should prosecute those it had arrested in connection with the killings. “Another evil these incessant killings may cause is food shortage. Government must, therefore, do everything to end the clashes.” He stated. The clergyman also advised politicians to play politics by the rules. “Politics is not war; we, therefore, want politicians not to arm thugs with the sole purpose of destroying their opponents so as to win by any means”. “You see this country of ours, to start to fight a religious war will not augur well. So, we are telling the Federal Government to please do everything so that this girl may be rescued.” He concluded. This entry was posted in Columns and tagged Christ Apostolic Church. Bookmark the permalink.